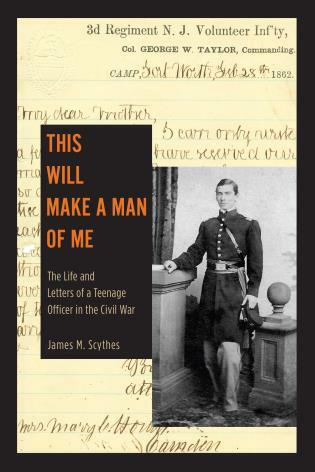 This book offers a unique firsthand account of the experiences of a teenage officer in America’s Civil War. Second Lieutenant Thomas James Howell was only seventeen years old when he received his commission to serve the 3rd New Jersey Volunteer Infantry Regiment. Featuring sixty-five letters that Howell wrote home to his family, this book describes soldier life in the Army of the Potomac during the spring and summer of 1862, focusing on Howell’s experiences during Major General George B. McClellan’s Peninsula Campaign. Howell’s letters tell the story of a young man coming of age in the army. He wrote to his mother and siblings about the particular challenges he faced in seeking to earn the respect of both the men he commanded and his superiors. Unfortunately, however, the young lieutenant’s life was cut short in his very first combat experience when he was struck in the abdomen by a cannonball and nearly torn in two during the Battle of Gaines’ Mill. This book records Howell’s tragic story, and it traces his distinctive perception of the Civil War as a vehicle enabling him to transition into manhood and to prove his masculinity. This is a well-done volume . . . . The contextual information is both detailed and useful because the author is interested in Howell as both a Civil War officer and as young man coming of age . . . . Researchers will find some gems, and general readers will appreciate how Scythes has managed to effectively tell the story of this young man and his comrades.